Aston Martin aren’t ones to shy away from elegance. 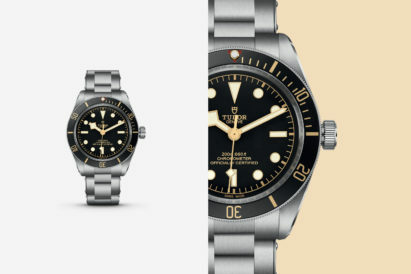 But, with the latest, convertible addition to their range, the British-based heritage automaker have outdone themselves. Drop-tops are notoriously difficult to do right – with many looking like money-grabbing afterthoughts or hastily designed deconstructions of the original model. Not so here, as the most elegant of convertible Aston Martins has begun a new chapter with the introduction of the eagerly-awaited DB11 Volante. What’s new with the DB11 Volante? Joining the DB11 Coupe, which was launched to wide acclaim last year, the new DB11 Volante sets new standards of performance, innovation, engineering and style to create the definitive open-top Sports GT. 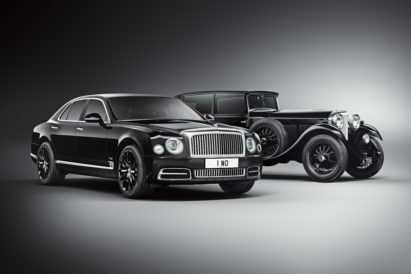 And it’s not only the bodywork that’s making waves – it’s what’s under the bonnet, too. What new technology have Aston Martin put in the DB11 Volante? This depth and breadth of ability is made possible by the Volante’s 3-stage powertrain and chassis modes. Working in perfect harmony with the 8-speed paddle-shift automatic transmission, electric power steering and limited-slip differential with dynamic torque vectoring, the driver is able to configure the car’s responses and tailor its behaviour in a way that best suits the road, weather conditions or their mood. Creature comforts such as a heated steering wheel encourage all-season open-air motoring, and rear seat ISOFIX attachment points – a first for a Volante model – bring added versatility. 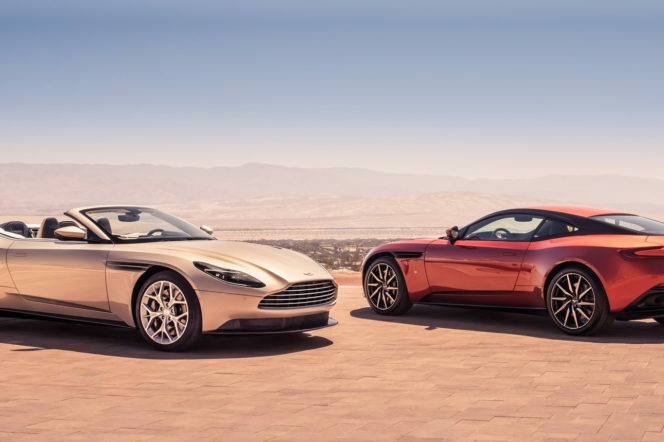 How does the design differ to the normal DB11? Visually the DB11 Volante features the striking single-piece aluminium bonnet and innovative ‘Curlicue’ aerodynamic feature from the DB11 Coupe, combined with new wood or carbon fibre veneer panels on the seat backs, a beautifully tailored fabric hood – available in a choice of bordeaux red, black silver or grey silver – dramatic ultra-slim ‘light blade’ tail lights that create a bold C graphic and a striking new design of forged alloy wheel. The end result is a breathtakingly sleek and athletic form that perfectly expresses the DB11 Volante’s character. 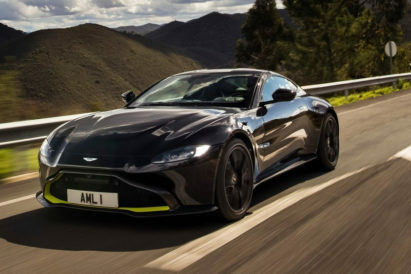 How have Aston Martin ensured taking the roof off didn’t ruin the car? As mentioned, convertibles are a tricky business. 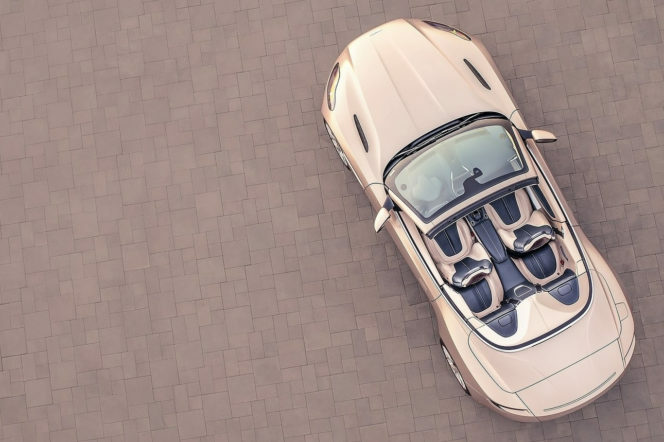 But, of course the defining feature of the DB11 Volante is its convertible roof. 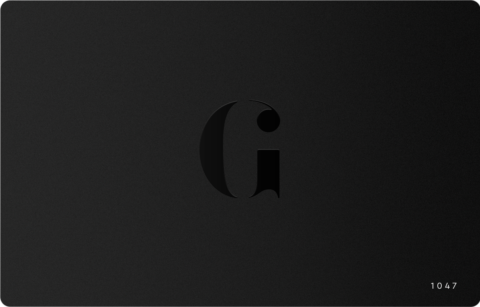 Combining the timeless appeal of a fabric hood with the very latest acoustic and insulation materials, the all-new 8-layer roof cossets occupants from the extremes of weather and wind noise. Folding to a class-leading stack height, the Volante’s hood takes just 14 seconds to lower and 16 to close and can be operated remotely from the key, or on the move at speeds of up to 31mph with a 31mph headwind – and was tested extensively in both Death Valley and the Arctic Circle. The new hood system has also led to a 20 per cent gain in boot volume compared to the outgoing DB9 Volante – all the more space to put those all-important golf clubs in. What do Aston Martin have to say of the DB11 Volante? 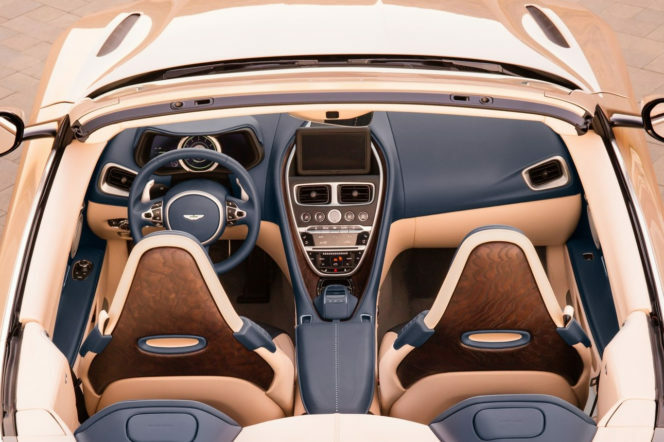 “For many of our customers, indeed many generations of Aston Martin customer, the Volante has always offered something very special: a unique combination of elegant style, innate sporting ability and sensory engagement that lifts it above other open-top cars. 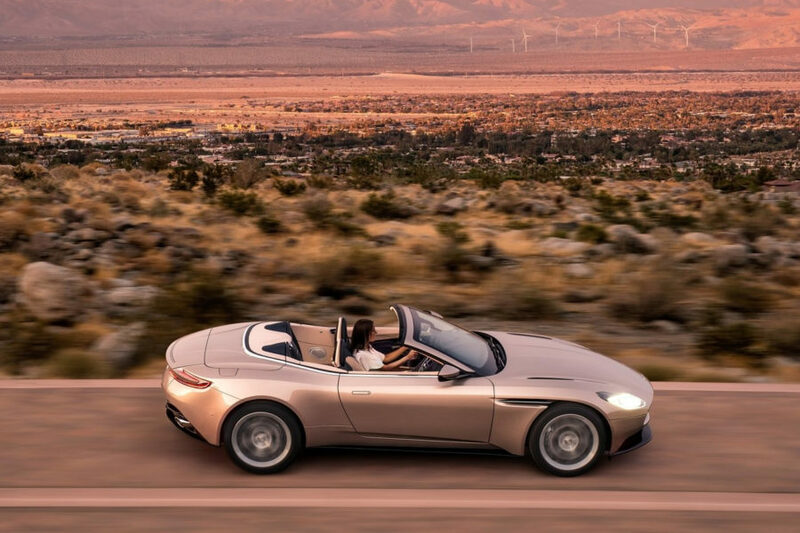 The new DB11 Volante captures those qualities perfectly and promises the kind of pleasure and enjoyment that can only come from driving an open-top Aston Martin”. 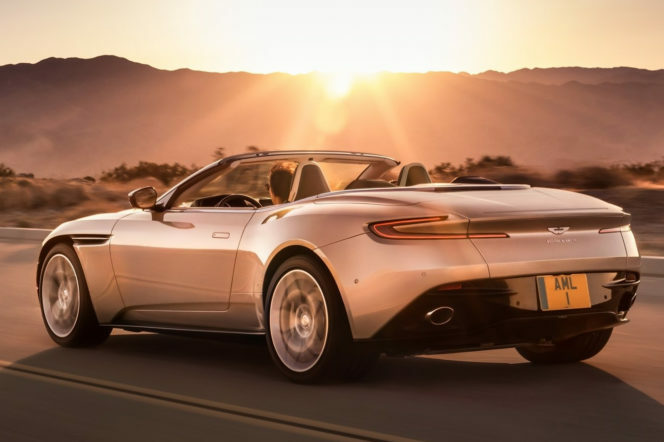 For more information about the DB11 Volante along with every other Aston Martin model, make sure to visit their website and fulfil your dreams.